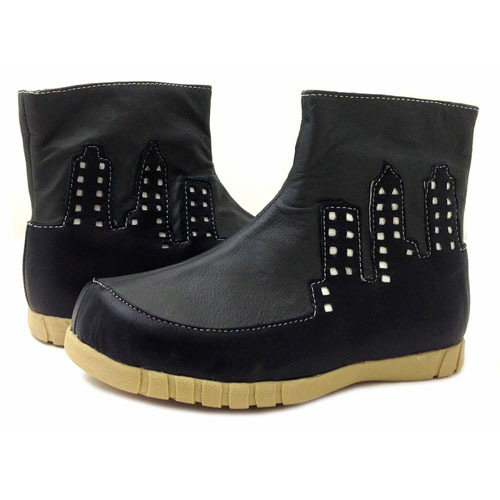 A cityscape on a boot? Why not! Especially if it’s a silhouette of the great city of San Francisco beyond the bay in all its foggy beauty. The backdrop of this comfortable, easy to throw on boot is crafted from slate gray leather, while the city outline, complete with tiny cutout windows in metallic silver, is crafted with black leather.